Standout feature: One defining feature present on the Arlo Audio Doorbell that's missing from competing solutions is the ability for visitors to leave a message if you can't be reached. Something as basic as voice mail is incredibly handy when it comes to front door monitoring, arguably even more so than video. Just because you can see someone at your door doesn't always clue you in as to why they are at your door. Netgear on Monday announced the Arlo Audio Doorbell and Arlo Chime, a tech-infused solution for modernizing the doorstep greeting. Unlike other smart doorbells on the market, Netgear’s latest is an audio-only offering. Netgear touts this as a feature rather than a shortcoming, allowing users to keep watch over their entry with a more complete view (it can work in tandem with Arlo wire-free cameras) as opposed to a conventional smart doorbell that integrates a camera in a fixed position beside the doorbell button. 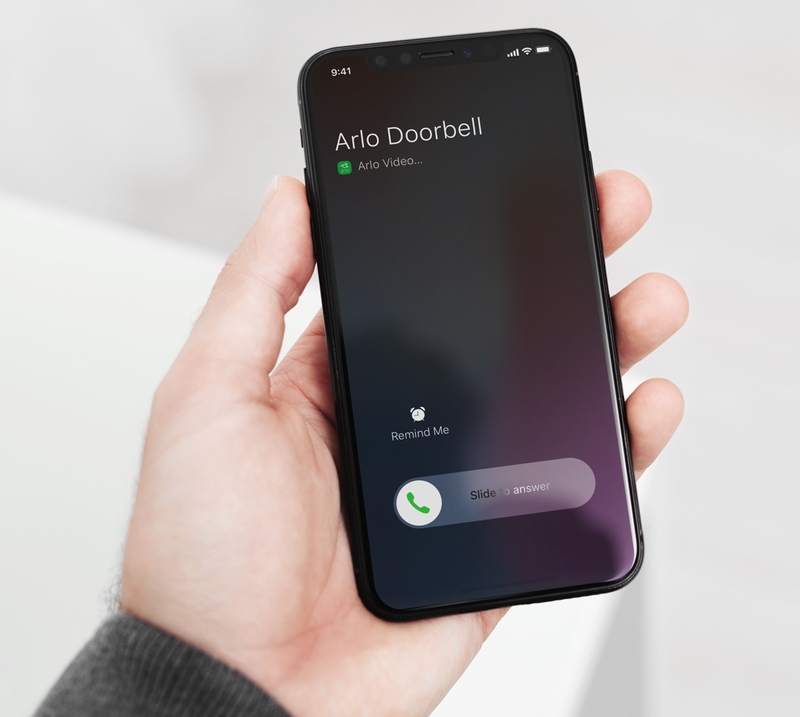 When a visitor rings the Arlo Audio Doorbell, a call is dispatched to the user’s mobile device through the free Arlo app. Homeowners can then talk directly with the guest or tap to reply with a pre-recorded message if it’s not convenient to talk. Best yet, guests can leave a message if you can't take their call. The doorbell features a weather-resistant exterior, runs on two standard AA batteries offering up to a full year of runtime and can connect to existing digital and mechanical door chimes. Should your existing chime not be adequate, the Arlo Chime accessory can be added to the equation. The chime works with the Audio Doorbell and Arlo wire-free cameras to transmit instant alerts to any room (it plugs into a standard electrical outlet), even if a user is not near their phone. Netgear’s new smart audio doorbell solution is scheduled to launch this fall. No word yet on potential pricing although considering it doesn’t have integrated visuals, one would suspect it’ll be significantly more affordable than competing video doorbells.